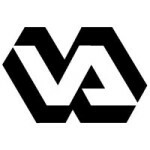 On February 1, 2016, Military Times reported that federal administrative judges had overturned a decision by the Department of Veterans Affairs to demote two senior officials who had gamed the VA’s hiring system to pad their salaries and rake in exorbitant sums as reimbursement for alleged relocation costs. The Military Times article states that Kimberly Graves and Diana Rubens “forced lower-ranking managers to accept job transfers and then stepped into the vacant positions themselves, keeping their senior-level pay while reducing their responsibilities.” The two were also caught with their hands in the VA cookie jar from which they had extracted more than $400,000 in questionable moving expenses. As it turns out, Kimberly Graves and Diana Rubens were not criminally prosecuted, nor were they fired. They were simply demoted, but now, even that slap on the wrist has been rescinded. The reason the judges gave – that other senior VA officials pulled the same scam and were not disciplined – is appalling. Essentially, the judges are declaring that because the system is so thoroughly corrupt, isolated corrupt individuals cannot be held accountable. This decision undermines any serious efforts to reform the VA so that it stops operating as an ATM for lazy bureaucrats and finally puts service to our veterans first. At Marcari, Russotto, Spencer & Balaban, we share the frustration of the veterans’ community. Our accredited attorneys fight every day so that veterans can get the benefits they deserve. If you are having trouble getting your benefits claim approved, we can help. Call us from anywhere in the nation at 866-866-VETS or contact our office online.